To see my longtime friend Angie! This Sunday was dedicated to all the i like art type girls. Nothing like catching up with good food and good exhibitions. Her lovely boyfriend O gave me the best mini tour of Boston & Lawrence history the whole day. First stop was her beloved abode. There's nothing like Libra living. Angie has the some of the best taste in the world. Her loft did not disappoint reflecting her aura. Clean majestic and hand made. After a good cyph & Angie's favorite coffee we headed to brunch then off to the museum! 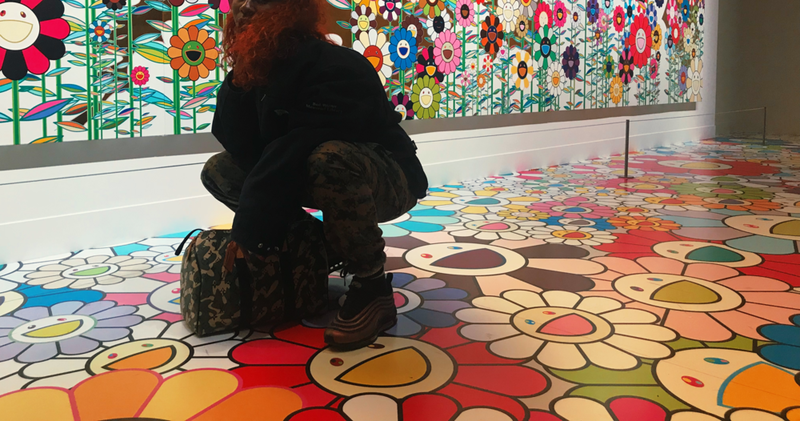 Takashi Murakami has been one of my favorite artists for a very long time. Hence me spending lot of money on that LV x Takashi camo purse in my past life, lol. I missed the Chicago showcase so I was eager to jump on this. I highly highly recommend visiting if you also love him. I took home a shirt, two plush items, some stickers and a postcard to write to myself (scrapbook). I was on the brink of purchasing the book while I was there, but I found it on amazon for $50 instead of the $75. She's a #BUDGETBITCH.